Hello all! 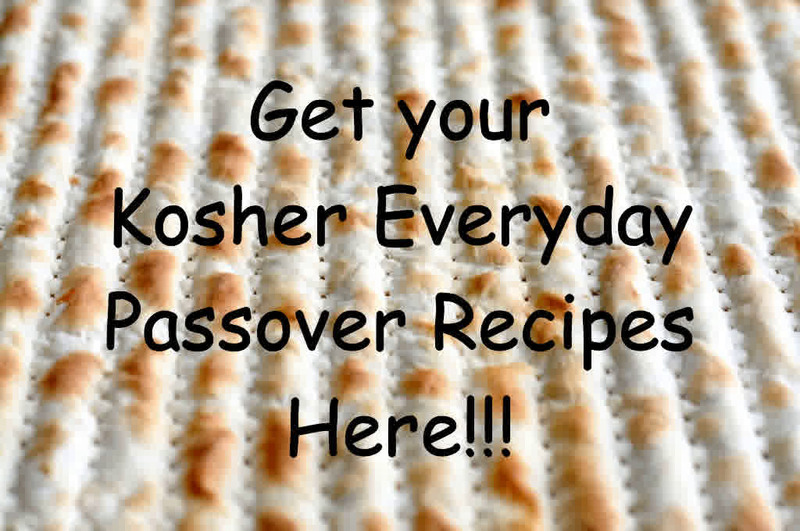 It’s that time of year when you are being swamped with super exciting, new and enticing Passover recipes. 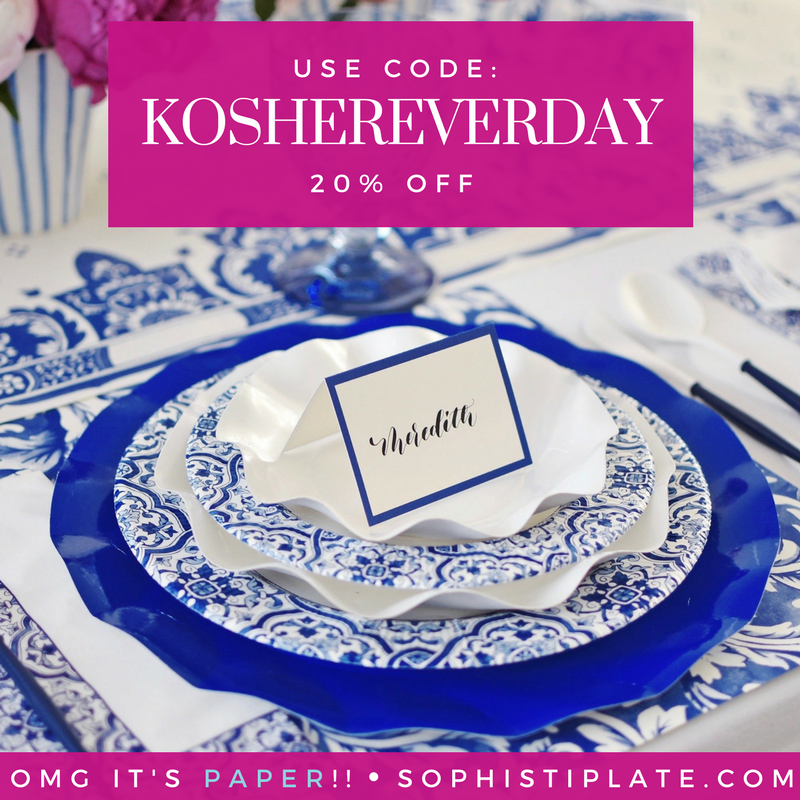 If you’re like me however, you’re still trying to clean out your chametz cabinets and use up all your rice (assuming you’re not Sephardi) and other chametz/kitniyot products. 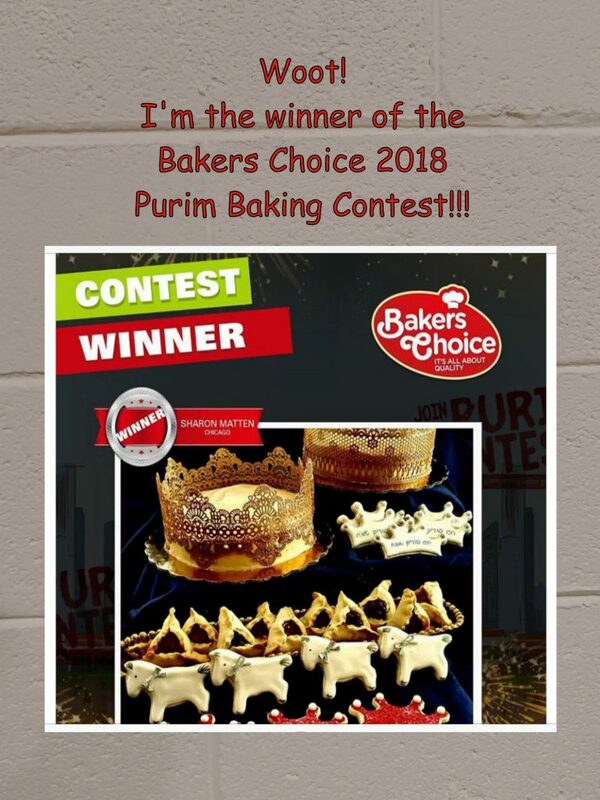 I usually start the process right after Purim, and my family knows that they will get the most creative dishes during the weeks before I convert my kitchen for Passover. It’s kind of like an episode of “Chopped”. Hmmmm….what can I make with the beans, macaroni and cheese mix, rice paper, and green lentils? I have also started making instructional videos to help with the educational aspect of this site. I know that although I nearly always add a lot of explanatory photographs, nothing is a good as actually watching the process first hand. I love my first video (not including the Spice Packet Video…although that one is fabulous!!) – it’s very informative although extremely flawed :-). (Kind of like me!) It’s extremely blurry in the beginning, but pulls through to be clear about halfway into the video. 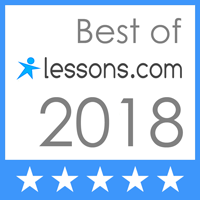 I’ve had good feedback (which is really, really nice), and would love to hear your comments. It will help in the editing of my Passover video coming out shortly. Preheat oven to 325℉ convection roast or 350℉ bake for an non-convection oven. 1 foot cooking twine, cut into 2 6” pieces. Place the potatoes in a single layer on the bottom of the pan. Place the chickens on top of the potatoes. Combine the rice and vegetable stock in a large stock pot. Bring to a boil, then reduce heat to low and cover tightly. Cook rice for the longest package directions of your combined rice. When the rice is done cooking, off heat then allow the rice to rest covered for 10 minutes. In a large wok or skillet, heat the oil. Add the onions, celery and garlic. Saute until the the onions are starting to brown. Add the mushrooms and saute until the mushrooms are soft. Add the teriyaki sauce and stir to combine. Spoon the vegetables into the prepared rice. Place 2-3 cups of the rice mixture into a separate bowl. This will be the stuffing. By separating out a few cups you avoid contaminating the whole batch of rice with salmonella from the chicken. If more rice is needed for stuffing you can always add it after. Gently spoon the rice stuffing into the chickens. Do not pack the rice in. 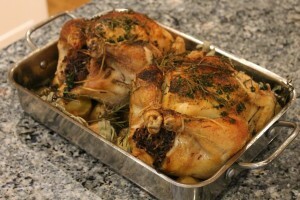 Once the chickens are full, tie up the legs of each chicken to help ensure even roasting. Spray the chickens with olive oil spray, or rub the skin with a thin coat of olive oil. Sprinkle garlic and onion powder on top of the chickens. Top with fresh herbs, tucking some of the herbs around the chicken for additional flavor. Sprinkle some black pepper on top of the chickens. Place a meat thermometer in the meatiest part of the chicken thigh. Roast until the internal temperature of the chicken reaches 165℉. Remove the chickens from the oven. 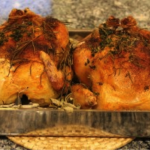 If making this chicken in advance, remove the stuffing from the chickens before refrigerating. Never store stuffed chickens. I’m really enjoying the design and layout of your blog. It&82#17;s a very easy on the eyes which makes it much more pleasant for me to come here and visit more often. Did you hire out a developer to create your theme? Great work!